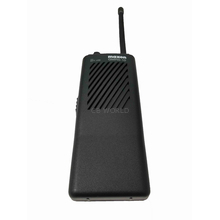 Handheld Radios at CB World! 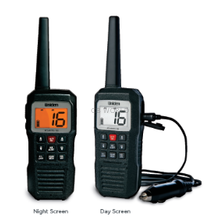 These awesome radios are extremely useful for hikes, fishing/hunting, construction, and more! 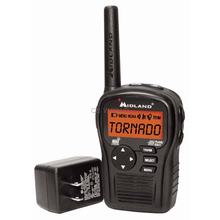 These handy radios will have very poor signal if you try to use it inside a vehicle/building without attaching it to an external antenna (which is a feature on the 75-822 midland radio). 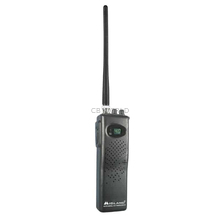 Handheld radios are walkie-talkie style units that generally operate on batteries. Most models come with a cigarette cord for vehicle use. 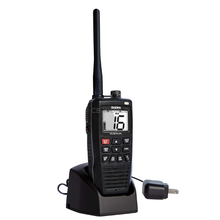 Some models have rechargeable battery packs or the ability to charge rechargeable AA batteries in the radio. If you are using a CB radio on foot, this is obviously the only way to go, but they can also be used in vehicles. You can connect a magnet or fixed mount CB antenna to any hand held CB by removing the rubber antenna and attaching a BNC/SO239 adapter. Keep in mind that when you use a handheld CB radio in your vehicle, you will have the antenna cable attached to the top of the unit and a cigarette cord, usually attached from side of unit plugged into the lighter. With all the wires connected it makes the handheld CB cumbersome to operate. The Midland 75-822 features a mobile adapter that slides on where the battery case attaches, which basically turns this unit into an All-in the handset radio. The 75-822 provides the best versatility, operating on land or in a vehicle. When operating the 75-822 in a vehicle you will need to connect an exterior CB antenna to the adapter cord. A magnet mount will suffice for occasional use. There is also a NIMH rechargeable battery (NIBP) and a speaker microphone (22M11) available for the 75-822. 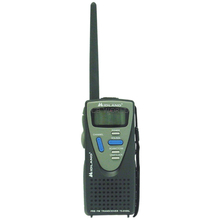 The best handheld CB radio to purchase really depends on your needs. 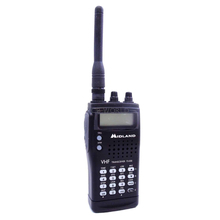 Overall, the Midland 75-822 is our best handheld. Many consumers purchase two units, which are ideal for multi-vehicle caravan communications while traveling. The 75-822 comes with a ton of features and includes the mobile adapter in the kit. If you want to save some money and don't plan on using the CB radio in a vehicle, the Cobra HH 50 WX ST might be a more economical choice. If you plan on using the HH50WXST in a vehicle you will need an adapter and external CB antenna. 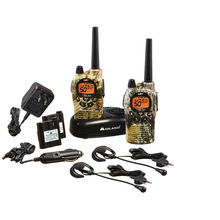 Cobra bundles the HH50 with a magnetic mount kit, which is model number HHROADTRIP or the HHRT50. 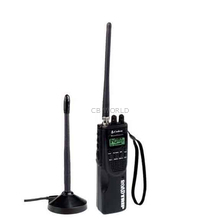 If you want to use a handheld CB radio as a mobile unit, you will need an external CB antenna! 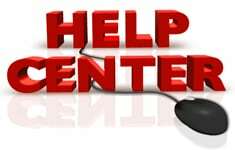 If you do not attach an external antenna, you will not have good performance since the signals cannot pass through metal. 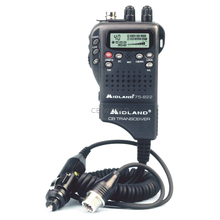 The Midland 75822 offers a unique adapter to hook up the radio to an external antenna. Other handheld radios usually require a BNC to SO239 adapter to attach an external antenna. 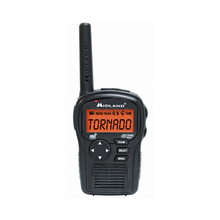 Check out our selection of handheld radios and see what's best for you!